Freeport, Grand Bahama Island - Grand Lucayan Resort is pleased to announce their holiday fine dining menus. wine pairing, champagne toast and live entertainment. 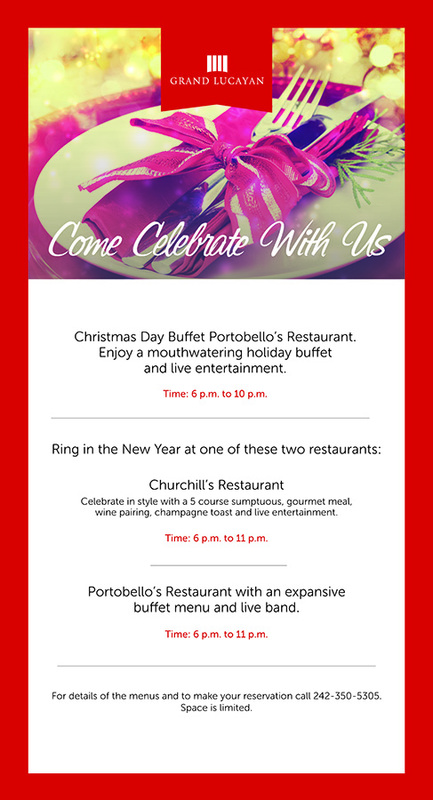 Portobello’s Restaurant features an expansive buffet menu and live band. For details of the menus and to make your reservation call 242-350-5305.